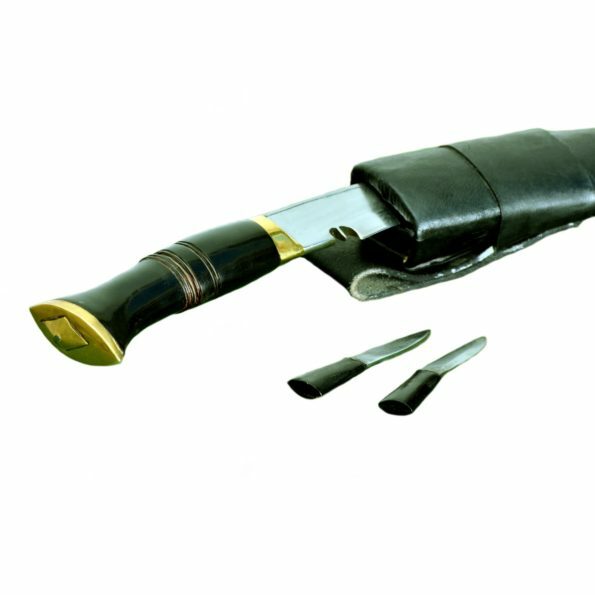 Nepal Army Kukri is an authentic Kukri of Nepal Army. This type of kukri is one of the simplest one, which is used in warfare or in civil life by Nepal Army. Especially it is issued for the traditionally Gurkha Soldiers who still serve in Nepal Army.It is made in Dharan using Highly graded carbon steel for the blade and the buffalo leather for the sheath. The blade is 9″ long and the measures 13.5 with the handle made of buffalo horn. it weight 570 grams. 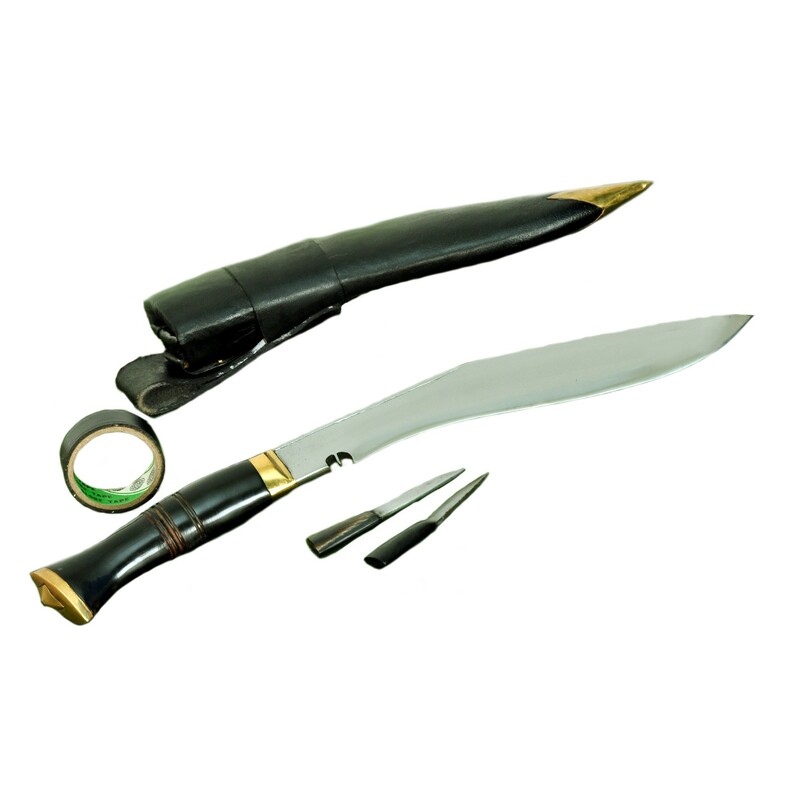 Material Used: Highly Graded Carbon Steel, (car & Jeep leaf spring, 5160)Water Buffalo refine Leather for Scabbard(outside) and water buffalo horn for the Handle, Pinewood for the Scabbard (inside), Laha( Nepali Traditional Glue). Weight: 570 gms( 20 Oz Approx).